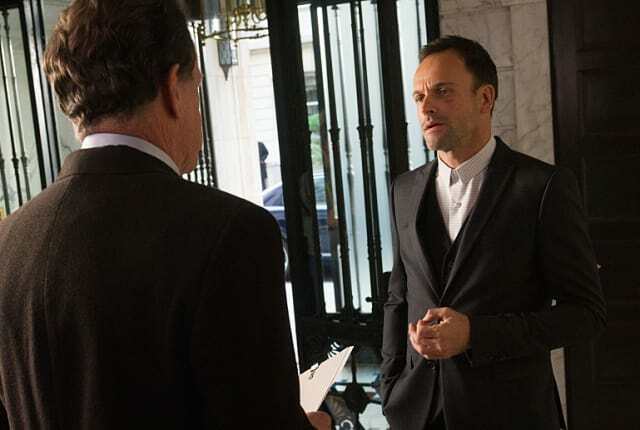 When you watch Elementary Season 4 Episode 9 online, Sherlock confronts his father Morland regarding the assassination attempt on him that resulted in the death of an innocent woman. Even though Morland assures him that there is no current threat and the assassin has been dealt with, Sherlock does not believe him and insists on looking into the case on his own. Meanwhile, Joan partners with Detective Bell to investigate the murder of a cooperating witness in a case against a corrupt for-profit university. While it looks at first like the man was killed when he stumbled into a home invasion, Joan figures out quite quickly that the man was targeted and killed. There's just the little matter of finding out who killed him. Will Joan and Marcus discover the truth about the death of the college recruiter? And what will Sherlock learn as he digs deeper in to the mystery of the attempted assassination of his father? There are twists around every corner, especially when Sherlock tries to get information out of the corrupt Interpol agent Lukas Muller. Find out the truth about what happened when you watch Elementary Season 4 Episode 9 online right here at TV Fanatic! Well, you're lying, so I'll just have to investigate the matter myself. Permalink: Well, you're lying, so I'll just have to investigate the matter myself. I could have sworn I had that statue removed! Permalink: I could have sworn I had that statue removed!